Mashups, Beet Salad, Sparkling Wine – The Weekend in Review | Ooh Something Shiny! Girl Talk at Sound Academy in Toronto, Ontario. 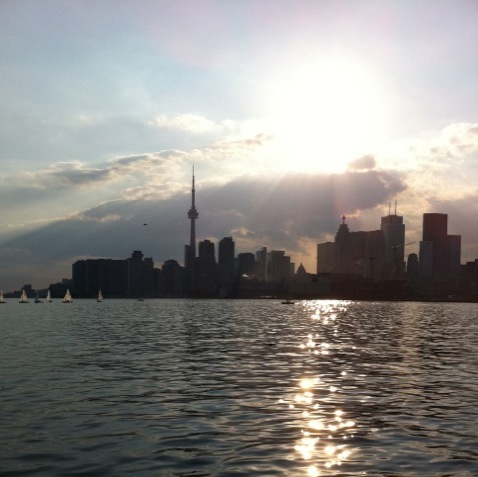 Great venue, right on the water in Toronto. Plenty of Room, nice bar area. The only problem is that if you are underage, they won’t even let you pass through the bar, and if you are legal and want to drink, you have to stay in the bar to do it. Since I had staked out a prime spot by the stage, I just didn’t drink. Young Empires, a Toronto-based club band opened and got the crowd dancing, but their efforts were wasted, when it took Girl Talk more than half an hour to take the stage after Empires cleared out, leaving the audience restless and grumbling, especially since the recorded house blend playing before each act was bad eighties music. Girl Talk (DJ Gregg Gillis) finally appeared a little after 10:30, filled the stage with dancing fans and began his signature blend of rap/house music. Confetti canons shot paper shreds overhead and leaf blowers fitted with toilet paper rolls TP’ed the crowd, exercise ball-sized balloons bounced from hand to hand, exploding into a shower of confetti. Cocoons of helium balloons dropped from overhead. Fans tore the plastic open, releasing the balloons back upward. O3 Organic Cafe recently opened in Buffalo’s Elmwood District. Great lunch there Saturday. I had a great salad, spinach, beets, pecans and roasted turkey in a citrus dressing, followed by a cappuccino. The cafe is sleek and modern with trendy grey walls and frosted grey windows. There are also a handful of outdoor tables for Elmwood people watching. The only problem with the powerful hand dryer in the unisex which was so loud that it was a real conversation stopper in the dining room. Jojo’s Bistro and Wine Bar– It’s a full service restaurant in Williamsville. We chose to sit at the bar for a couple of drinks and appetizers. We shared the Marguerita Pizza – it was on flatbread with fresh basil. It was fresh and crispy and delicious. We also enjoyed the peach sangria and a sparkling New Mexico wine. Service was attentive and friendly.